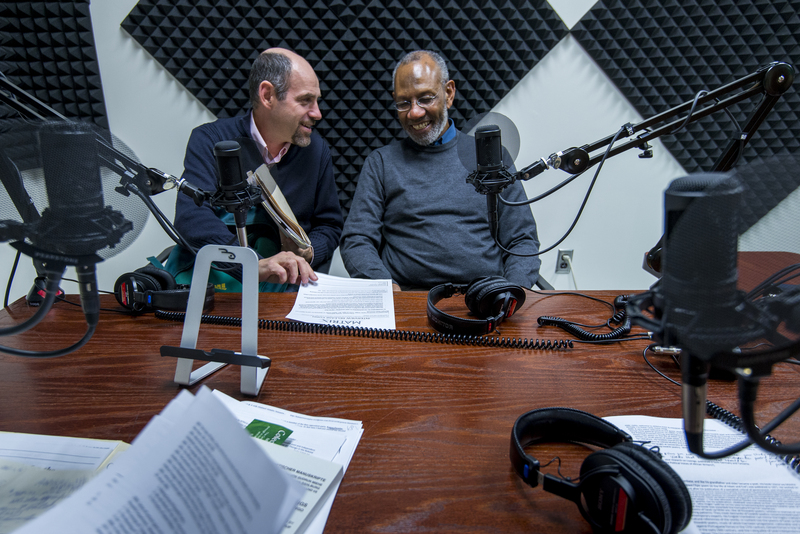 Africa Past & Present, also known as Afripod, is a regularly released scholarly podcast focused on history, culture, and politics in Africa and the African diaspora. Developed in collaboration with the MSU Department of History, Africa Past & Present seeks to broaden the accessibility and availability of cutting-edge African scholarship and research. The shows feature interviews with African scholars, politicians, and other eminent persons as they discuss issues related to current events and other debates of interest and relevance to the study and understanding of contemporary African issues and experiences. The diversity and scope of these interviews can be captured by the titles of past Afripod episodes, including: a talk on Somali pirates by then current president of the United States’ African Studies Association, a discussion by three retired professional football players on how the first African World Cup would impact grassroots soccer organizations, and a reflection on the current U.S. involvement in the ongoing political and military conflict in Mali with a former U.S. ambassador to Mali, among others. Afripod is one of the few (if not the only) podcasts of its kind, making the content contained in these interviews extremely rare and valuable. Thus, all episodes of Africa Past & Present are made available online for free as part of MATRIX’s larger commitment to democratizing access to cultural and scholarly resources. With over 1,000 downloads per episode, Africa Past & Present has proven to be an asset to the scholarly and public community. We invite you to listen in and become a part of the conversation.